Truly an unlikely pairing, technology and urn design have finally become one in the same. You might have to do a little bit of digging to really utilize this newfound technology, but it’s there. This may help you to get the ball rolling. You can have your favorite likeness turned into an urn. If you’re a music lover, you can have an urn created to look like a small piano. The possibilities may astound you. Whatever you may desire can probably be created. Here are a few options you may want to look into. A realistic, and maybe even creepy option is offered by a company called, Cremation Solutions. They use 3D imaging facial recognition software to create super realistic busts. They can make you an urn that looks just like you, or they can cast your likeness onto the head of your favorite superhero. The statues can be ordered up to eleven inches tall. Those tend to be quite pricey, but they do offer a smaller version. Your loved ones will never forget your beautiful face with this newly acquired technology. Similar to the lifelike method of urn design, there is 3D printing design. 3D printing is a relatively new technology that will bring any drawing to life. The printing software will send your design straight to a machine that will plot, print, and create your images in 3D. This way, you can have your urn designed into anything you want it to be. You can have your ashes placed in an urn built like the body of a guitar, if you’re a music enthusiast. It’s even possible to design some very intricate pieces. For example, you could have your ashes rest in your favorite ‘57 chevy. The sky’s the limit with 3D printing and design. Now some of you don’t want anything crazy to store your ashes in once you pass. For the more traditional person, there are also many great options to acquire a quality urn. Maybe you prefer a simple decorative inlay, or a handcrafted solid wooden design. 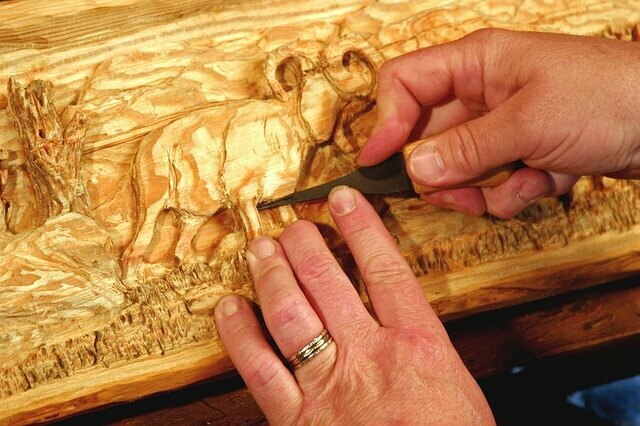 You may find that you run into a craftsmen in your local area, but they are abundant and easy to find when you are searching on the internet. There are all sorts of things you can add to your urn to personalize it without going super technological with the design. You can have your favorite photo lacquered onto the front of the urn. You may want to have a floral pattern wrapping seamlessly around the bulb of your urn. Whatever you desire in the traditional style, you should be able to find without much of a struggle.